This image of the Amazon rainforest was taken by NASA's scatterometer satellite in 1997. 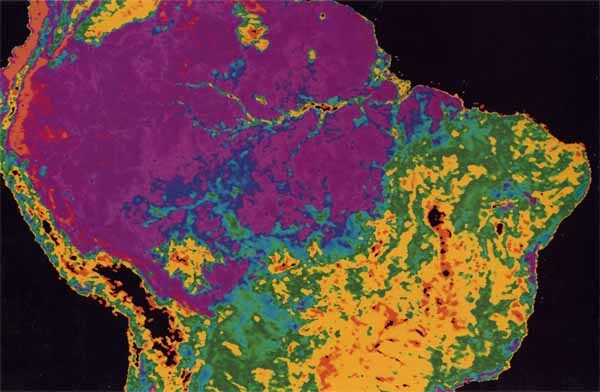 The radar image shows conditions on Earth's surface, such as the type and density of vegetation. The false colors enable scientists to identify different kinds of vegetation. Tropical rainforests are colored blue and purple; woodlands and savanna are green and yellow. The black areas are mountains and degraded farm lands.